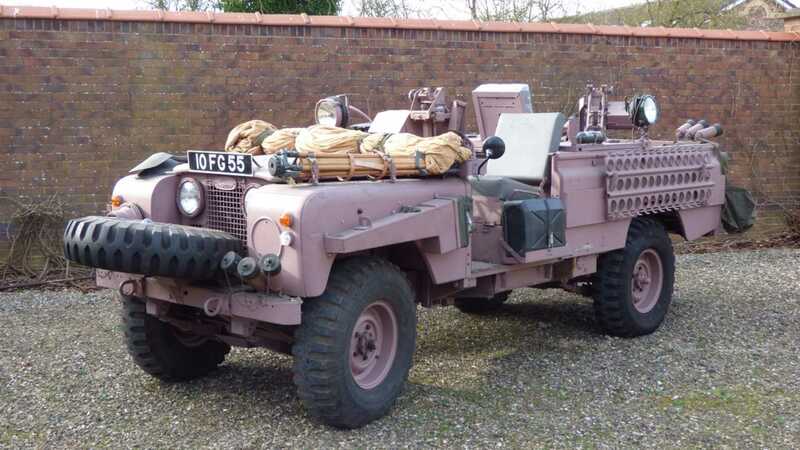 It’s easy to mock this Land Rover for donning faded pink paintwork, but that would be a foolish move. This is no shameful Barbie tie-in. 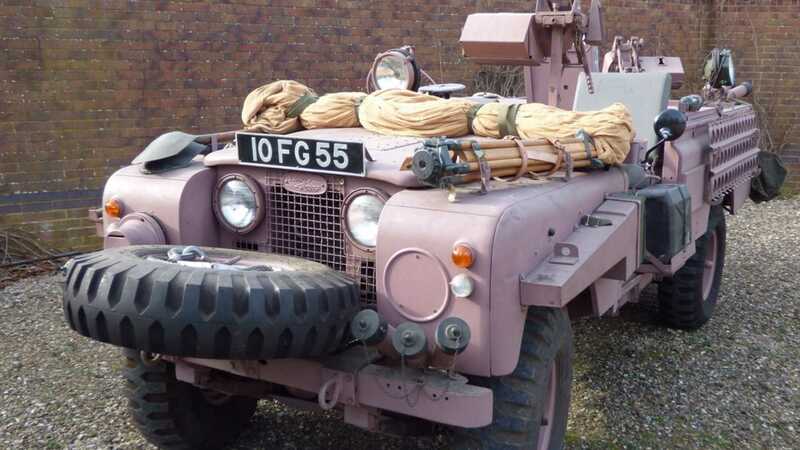 This is Land Rover’s ultimate killing machine – the Series IIA SAS ‘Pink Panther’. Seldom seen on the open market, due largely to inadequate survivor numbers, collector demand for these indestructible British warhorses remains sky high. It’s why you’ll need to be quick to purchase this one, should you yearn for the ultimate Land Rover. Up for grabs through P.A Blanchard & Co, this slice of military history will set you back £65k ($87k/€76k). Already boasting the rough-and-ready mantra of a Glaswegian pub crawl, Land Rover’s Series IIA had proven itself within various regiments of the British Armed Forces. However, when the SAS came knocking in search of an all-out battle wagon, the utilitarian 4x4 received a steroid-fed crash course in desert combat. A total of 72 long-wheelbase examples were converted to SAS specification by Marshalls of Cambridge in 1968. Formerly donning Land Rover’s trademark Bronze Green paintwork, each vehicle was then subsequently modified to suit the theatre of operation. In this case of the chosen few, a dusky shade of pink was selected. 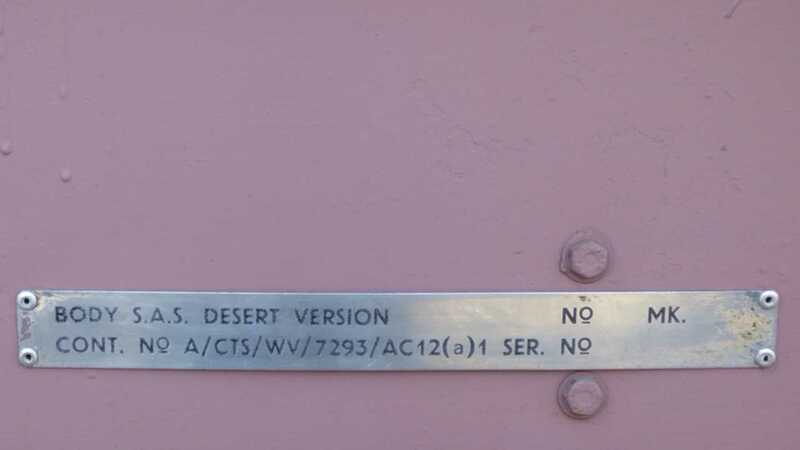 Found to be the most effective camouflage tone for operations across the Oman desert, the now-legendary paint scheme remains history’s only acceptable pink motor vehicle. Let alone a long-distance military killer. 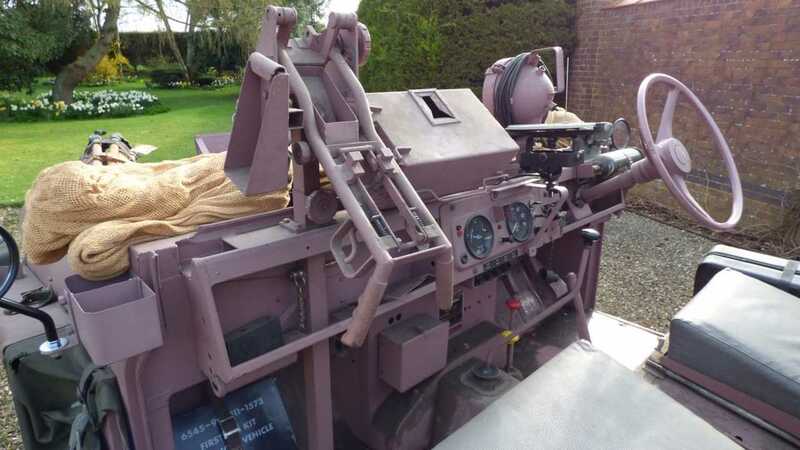 The list of bespoke features originally included smoke grenade launchers, GPMG Machine Guns, flare guns and SLR Rifles. 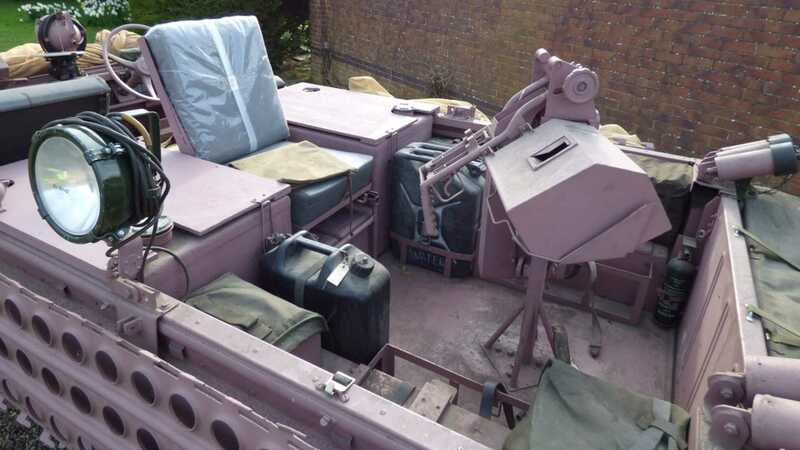 Less lethal add-ons found extra fuel tanks, axle guards, searchlights, water bladders, oil can stowage, a sun compass and blackout lamps installed on the vehicle. Naturally, since decommissioning, these weapons were removed. What you see here are replica attachments. 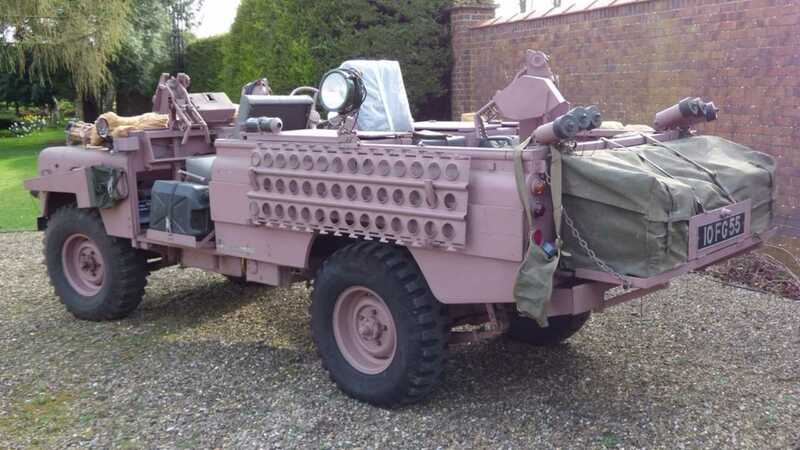 In service between 1968 and 1984, the hard-hitting Pink Panther was succeeded by the faithfully menacing Land Rover 3.5-liter V8 SAS DPV (Desert Patrol Vehicle). Although the DPV was altogether more brutal and packed with lashings of extra gear, it’s the Series IIA that radiates a perfect blend of classic motoring and ultimate force. Out of the 72 specimens crafted for SAS use, approximately 20 examples are believed to have survived two decades of loyal service. 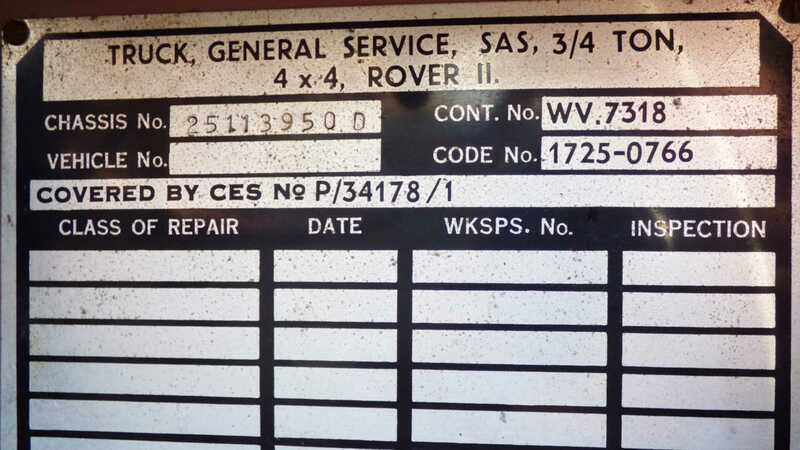 According to Land Rover aficionados, several ‘Pinkies’ were lost to the desert, while other examples were deemed unsafe for public consumption and scrapped after thousands of punishing miles. This example has been privately owned by the proprietors of P.A Blanchard since the vehicle was released from military use in 1986. The sale is accompanied by a copy parts book, handbook, complete equipment schedule and illustrated spare parts for the body. Little is known of this particular Land Rover’s activities in name of Queen and country, but for serious collectors of military vehicles and those interested in all thing British, little compares to the raw charisma of a genuine Series IIA SAS Pink Panther. As opportunities go, this is a seriously rare chance to bag legitimate Land Rover royalty. Get a closer look here.